Cream sugar and butter or margarine together. Add flour and nutmeg; mix until mealy. Spread 1/2 of mixture in pie crust. Arrange peaches on top of crumb mixture. Sprinkle remaining crumb mixture on top of peaches. Bake at 450 degrees F (230 degrees C) for ten minutes. Reduce heat to 350 degrees F (175 degrees C). Continue baking for 40 minutes, or until brown. 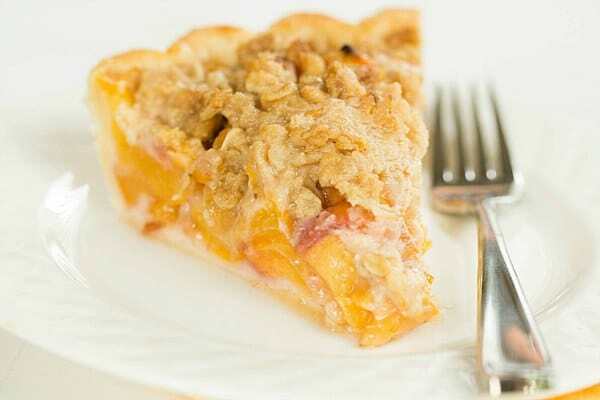 No comments for: "Single Crust Peach Pie Recipe"